Being the Disney fangirl that I am, I naturally freaked out when I saw the Disney Quilt Swap on Instagram. Only after I got my partner assignment did I start freaking out for a real reason: I had no idea what to make! When the idea of the Enchanted Rose from Beauty and the Beast hit me, I was super excited. Then reality set in when I realized I had no idea how to go about constructing it. I treat FPP as a last resort, because I just don't enjoy it much. I figured the best approach would probably be hand-applique. 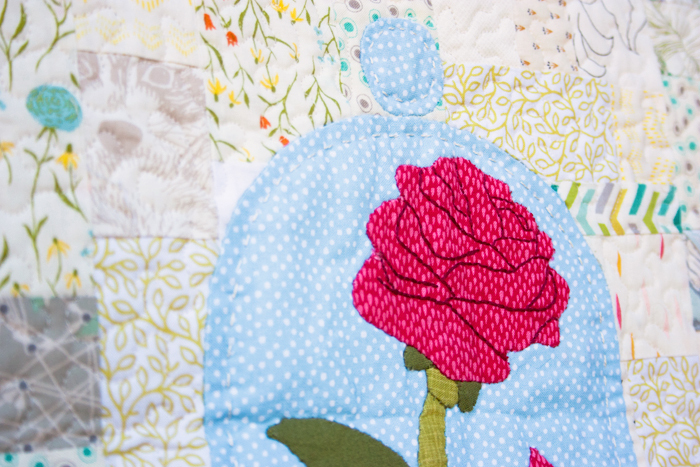 I added details to the rose with some careful hand embroidery. It really ties the whole thing together. I quilted my mini with a small-scale FMQ meandering stipple on the background. 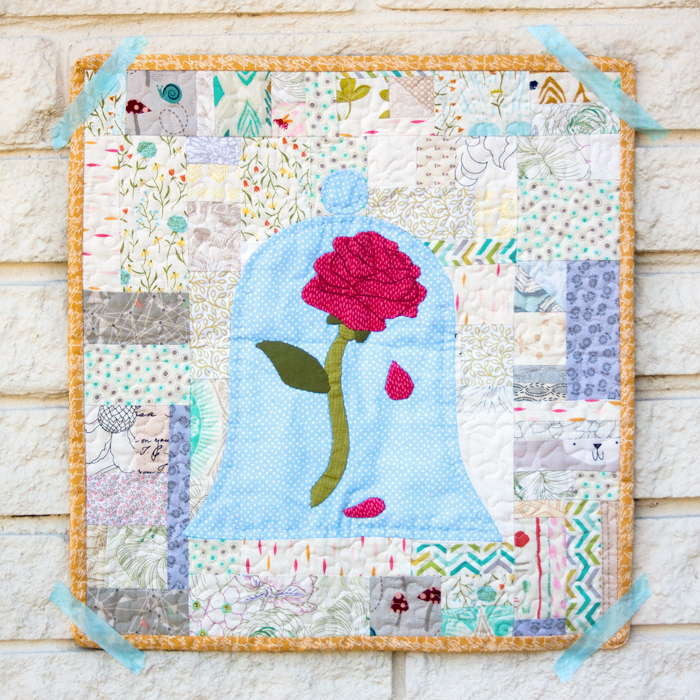 For the applique, I hand-quilted .25" inside the shape of the bell jar with Perle Cotton no. 8. I love the way it turned out so much that I was actually stressing about letting it go. I guess the universe overheard because my partner ended up dropping out of the swap. Precious gets to stay with Felice! I made a pattern to share with you guys since I'm not sharing this mini! It's available for purchase in my Craftsy shop for $4. Happy stitching!